University of Maryland engineers have discovered that porous types of wood from trees such as poplar and pine can majorly increase the effectiveness of water-to-steam conversion under sunlight. The findings, featured November 15 in the journal Joule, could be employed in an inexpensive and simple biodegradable device for water purification. I think there are many, many materials that can be used in solar steam generation, but wood really stands out in terms of performance as well as cost. Liangbing Hu, Associate Professor of Materials Science and Engineering in the A. James Clark School of Engineering and the University of Maryland Energy Innovation Institute. People have been harnessing the energy from the sun in order to purify water for thousands of years, but in light of the freshwater shortages experienced by a number of regions, there is growing interest in developing technologies that make use of this simple technique in order to meet the global demand for drinkable water. The process, known as "solar steam generation," involves running water via a device or material that is heated by sunlight. The water then evaporates into steam, leaving behind salt and contaminants. While it is possible to use varied materials, including graphite and copper nanotubes, Hu and his team discovered wood to be effective -- but all types of wood are not equal. Of the species they examined, the more porous types like poplar and pine were most efficient. They observed that denser species, such as the tropical hardwood cocobolo, produce steam at a slower rate since they have fewer pores via which water can pass. "In our case, you just take a piece of wood and burn the surface. That's it," he says. Hu and his team have been investigating varied types of wood as solar steam generation devices. They tested the solar steam generation efficiency of wood blocks with a variety of densities, each only 1 or 2 mm thick and the size of the palm of a hand. The researchers darkened the wood so that it could better absorb heat from the sun by carbonizing (burning) the top of each block, and then measuring the rate at which water passing via the wood was transformed into steam. They learnt that elements of the wood's structure facilitated the process in an efficient manner, with microscopic pores and huge channels enabling water to flow continuously and quickly to the sun-heated surface. 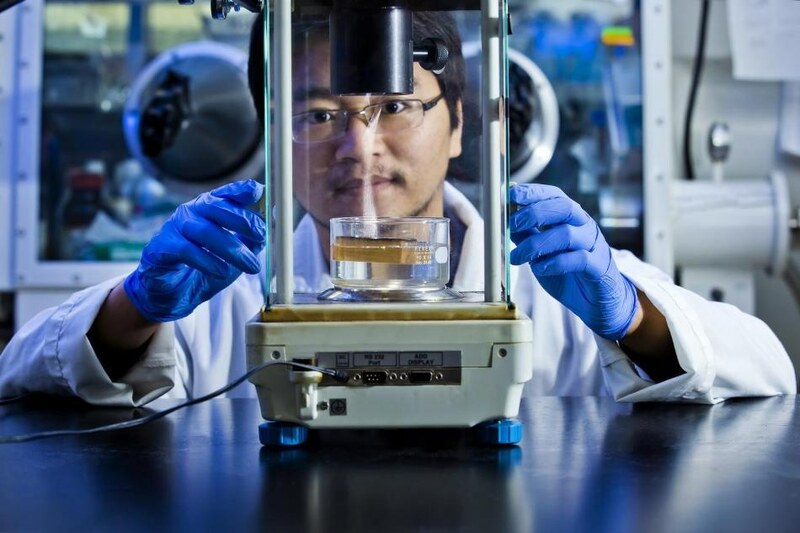 The researchers believe that these same structural elements enable wood to be a superior material for producing clean freshwater from seawater. A general problem with other materials refers to the fact that salt deposits start to build up within the device as water evaporates, which blocks the pathway of the water to the top and then prevents further evaporation. Since the channels within the wood run straight up and down, salt deposits can just dissolve back into the water below without hindering the way. Hu is certain that porous wood is capable of generating freshwater on a large scale sometime in the near future. He imagines the usage of wooden solar steam generation devices in water treatment plants all over regions with plenty of sunshine and saltwater, from California to Singapore to Saudi Arabia. "We are trying to push this technology further for use as a product, eventually, for addressing water issues with high efficiency," Hu says.